If you are trying to use ShortPoint SPFx page builder on Modern Pages and experiencing slow performance or other random issues, here are few tricks you should try to get along with. Plug-ins If you are using the plug-ins like Ad-blocker or grammarly, it can make ShortPoint page builder work improperly. Best way to check whether these add-ins are causing issue would be to disable them one by one and test ShortPoint Page Builder. Please be aware that disabling plug-in might require you to restart the browser. 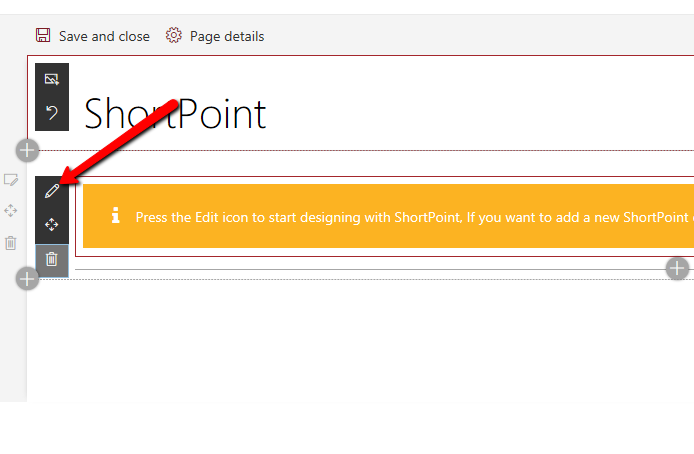 If clicking on Edit Icon for ShortPoint webpart doesn't work, please double click on that icon to start editing the ShortPoint. We are following up on those issues and update this article as soon as we hear about resolutions on those issues. File picker unavailable At present, ShortPoint File Picker for Modern SharePoint is not available on IE. However, you can still use it on other browsers like Edge, Chrome, Firefox and Safari. Any other issue Microsoft is improving continuously with SPFx & Modern Pages and fixing many issues related to IE / Edge and if due to that, you are experiencing some temporary downtime for IE / Edge, it is best to use other pages for working on ShortPoint Page Builder. Thank You for your attention, please feel free to reach out to us at any point of time if you have doubt / queries related to ShortPoint SPFx.